The best thing about having Jessica visiting Sheffield during the week, is that my uni breaks are amazing! This time we went back to Upshot Espresso, a coffee shop on Glossop Road that we first visited around the beginning of last year. That time, we only had drinks, and it has been on our list to go for brunch ever since! Good coffee doesn’t just happen, although you’d be forgiven for thinking that in Sheffield. 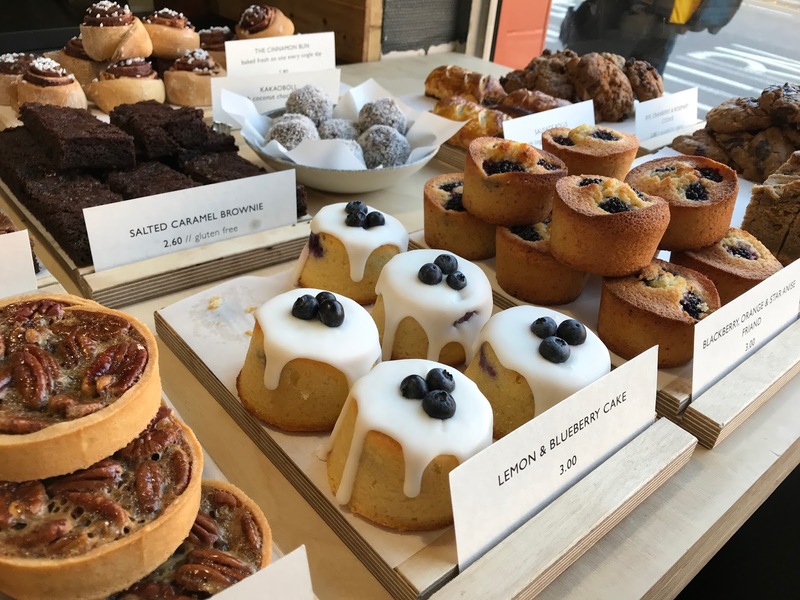 A peak through the windows of Upshot Espresso just gives you the feeling that good coffee awaits, and the beautiful cakes and buns sure enough makes sure you walk through the door. Pick up a copy of Caffeine mag – known for only being stocked in the best coffee shops, a sip of their incredible latte, and ponder around their displays of the finest coffee equipment and bags of beans which they use had us in complete relaxation mode. Our order of maple syrup and bacon waffles soon arrived, and it was everything you could possibly want and need from a weekday brunch. 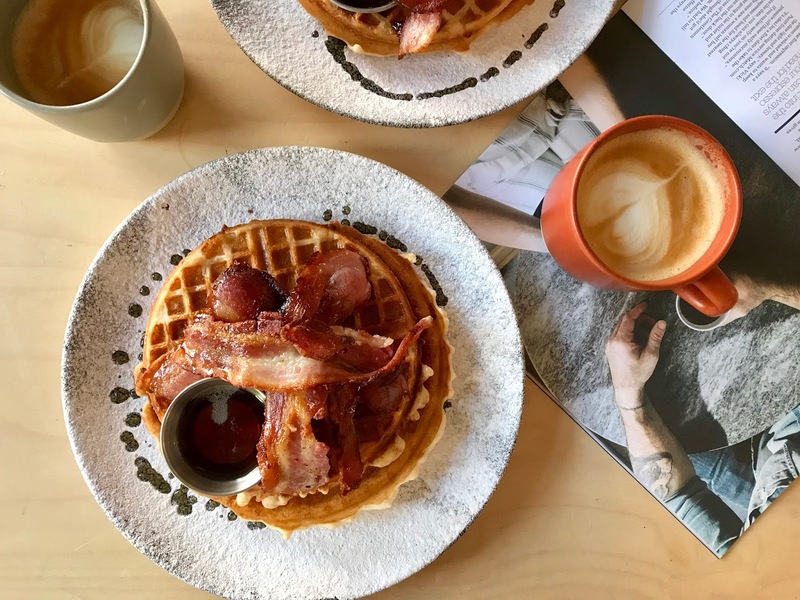 Their social media is one of the best for a restaurant or coffee shop we’ve seen, so when our Instagram photo got regramed whilst still in there, we looked around to see who it could possibly be. An approving nod from one of the guys in the corner left us feeling that extra bit pleased with this outing! Hmm it's great that they're good on social media, it's crazy how rare that is for coffee shops! I've never ordered a waffle in a cafe, I need to rectify that. This looks awesome, and not too badly priced to be honest. 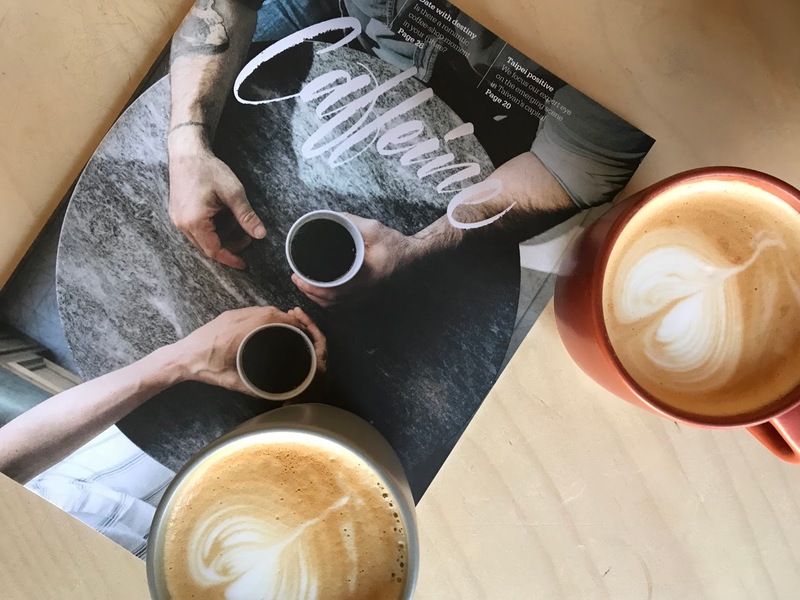 I didn't know that the caffeine mag existed, I've never been in good enough coffee shops -crying emoji- Lovely pictures and I really enjoy the way you wrote this post!